We’d love your help. 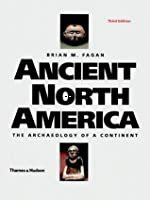 Let us know what’s wrong with this preview of Ancient North America by Brian M. Fagan. To ask other readers questions about Ancient North America, please sign up. In short: Good maps, pictures. Focus is on hard evidence - projectiles and such. Super dry. Quite a bit on methodological approaches used in the presentation of the material. Seems to be wide-ranging interpretive theories, which struck me as being all over the map, with considerable liberties taken based on limited evidence (Fagan asserts, but then more than often qualifies, suggesting significant uncertainty). Throughout the book, Fagan states that all hunter-gatherers were egalitarian, which he In short: Good maps, pictures. Focus is on hard evidence - projectiles and such. Super dry. Quite a bit on methodological approaches used in the presentation of the material. Seems to be wide-ranging interpretive theories, which struck me as being all over the map, with considerable liberties taken based on limited evidence (Fagan asserts, but then more than often qualifies, suggesting significant uncertainty). Throughout the book, Fagan states that all hunter-gatherers were egalitarian, which he defines as authority based on "experience and personal qualities" and "not political power." Other than several references to evidence from various burial practices and trade in exotic goods that indicate rank and hierarchy, it is surprising that Fagan doesn't discuss thoroughly the basis for such a generalization, especially when many places in his text indicate otherwise. For example, Fagan makes many references to a great diversity among the various Indian cultures, which includes those of the hunter-gatherer era that suggest the possibility that each band or tribe, and the larger associations of such groupings, had to figure out how to reconcile the issue of conflicting personal freedoms and exertions of power. Theoretically, unless there's a presumption that all of human nature is benign like Rousseau thought and that it was environmental influence (e.g., surplus) that corrupts humankind, it's not clear why there would not have been great variation in the way these issues were handled. And, after raising a question about whether "Southwestern farming villages" (i.e., not hunter-gatherer) were "far less egalitarian than often thought" (because of "long-distance exchange of essentials and luxuries by farming cultures usually results in some form of ranked society"), Fagan then states more generally that "whether Archaic, or even Paleo-Indian, societies were ranked is a matter of on-going debate." As the paleo-Indian era is generally thought to be 8,000 years ago, and as Archaic cultures (and its boundary with the paleo-Indian era "is often impossible to draw") hunted and presumably gathered too, though they placed greater evidence "on plant foods," it seems hard to reconcile this with his egalitarian characterization. Also throughout the text, Fagan references early North American Indian as being based on kin relations and reciprocity and that this is further evidence of egalitarianism. Whether families were equal in a fundamental sense (women, children vis-a-vis men, and among kindred men themselves), and whether all of these early groups practiced reciprocity (versus some did, some did not), also seems questionable. 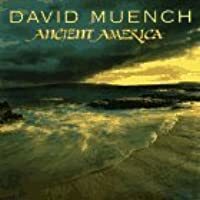 This is a very enjoyable introduction to pre-Columbian North America for a laymen more accustomed to reading history books based on written rather than archaeological sources. During the nine years that have passed since I read this work, I have read half a dozen books on more narrow aspects of the Indian societies that existed prior to arrival of the Europeans and have always felt that this book provided an excellent context in which I could situate the findings of the works having a restricted This is a very enjoyable introduction to pre-Columbian North America for a laymen more accustomed to reading history books based on written rather than archaeological sources. During the nine years that have passed since I read this work, I have read half a dozen books on more narrow aspects of the Indian societies that existed prior to arrival of the Europeans and have always felt that this book provided an excellent context in which I could situate the findings of the works having a restricted focus. Here is a book worth reading by anyone, period. Doesn't matter if you're an anthropologist, archeologist, historian, lay-reader looking for a good, exciting, entertaining and engaging read, you've found it. Fagan makes the ancient continent live again. Strongly recommended as a writer's resource if you're writing about this time period and place. It was one of the few science books that was so enlivening I couldn't put it down (says a lot about a writer when they can cause that level of interest Here is a book worth reading by anyone, period. Doesn't matter if you're an anthropologist, archeologist, historian, lay-reader looking for a good, exciting, entertaining and engaging read, you've found it. Fagan makes the ancient continent live again. Strongly recommended as a writer's resource if you're writing about this time period and place. It was one of the few science books that was so enlivening I couldn't put it down (says a lot about a writer when they can cause that level of interest in a "dead" topic). 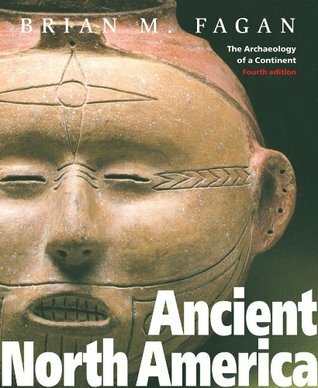 All you ever wanted to know about ancient North America and much more. In incredible detail, with pictures and drawings. I'm afraid I couldn't stick it out to the end, but I learned a lot anyway. I read the 2nd edition, but it's probably almost the same. I still use this as a reference. this was a textbook used for my north american prehistory class. A region by region synopsis of the archaeology of North America. 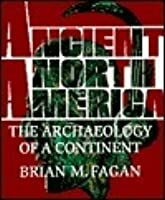 Brian Murray Fagan (born 1 August 1936) is a prolific author of popular archaeology books and a professor emeritus of Anthropology at the University of California, Santa Barbara, California, USA. Fagan was born in England where he received his childhood education at Rugby School. He attended Pembroke College, Cambridge, where he studied archaeology and anthropology (BA 1959, MA 1962, PhD 1965). 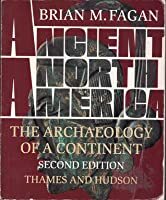 Brian Murray Fagan (born 1 August 1936) is a prolific author of popular archaeology books and a professor emeritus of Anthropology at the University of California, Santa Barbara, California, USA. Fagan was born in England where he received his childhood education at Rugby School. He attended Pembroke College, Cambridge, where he studied archaeology and anthropology (BA 1959, MA 1962, PhD 1965).